Injured in a slip and fall accident? Slip and fall accidents are often caused by slippery floors, defective stairs, uneven pavement, inadequate lighting, defective stairs or railings, or any other hazardous condition on someone else’s property. The injuries that can result can be devastating and can result in substantial medical bills, lost wages, and pain and suffering. The Griffin Law Firm has the experience you need handling slip and fall and trip and fall personal injury claims. 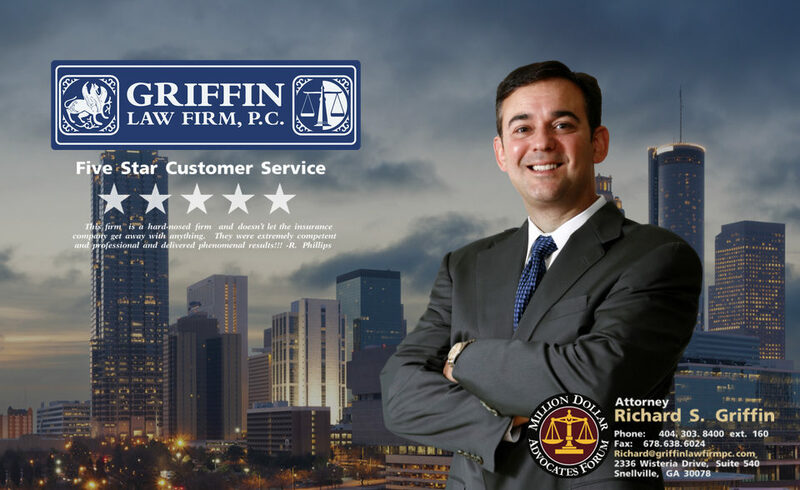 Attorney Richard Griffin encourages you to call us directly at 877-PAIN-LAW or 877-529-7070. What types of claims can arise from accidents involving slip and fall, trip and fall, and falling from heights? Fractured Bones: Slip and falls can cause broken legs, arms, ribs, skulls, wrists, fingers, elbows, knee caps, and other serious and painful fractures. Spinal Injuries: Slip and fall accidents can result in spinal injuries that can cause paralysis and other permanent injuries. Traumatic Brain Injuries: Slip and fall accidents can result in a traumatic brain injury if the injured party strikes his or her head against a hard surface as a result of the fall. Herniated Disc Injuries: Injuries to discs in the neck or back can easily result from slip and fall accidents. These injuries are often diagnosed as herniated discs, disc protrusions, disc bulges, and other disc injuries. Soft Tissue Injuries: Soft issue injuries involve any injury to the muscle or ligaments in the body. Soft tissue injuries can involve the neck, back, arms, legs, joints, and other body areas. Joint Injuries: People injured in slip and fall accidents often injure their knees, ankles, hips, hands, wrists, elbows, shoulders, and other joints in the body. There are more than 9 million slip and fall injuries every year. There are about 25,000 injures per day from slip and fall accidents. Slip and fall and trip and fall accidents damages exceed sixty billion dollars per year. Slip and falls and trip and falls are the most common on the job accidents. 35% of all on the job injuries involve falls. The average number of days missed from work due to slip and fall injuries is 38 days. Slip and fall injuries cause about 65% of all of the days missed from work due to injuries. 15% of all deaths from accidents are caused by slip and fall accidents. Every year there are about 800 deaths due to on the job falls. On the job slip and fall injuries cost more than eleven billion per year in damages. The average cost of slip and fall injuries is $22,800. Each year there are more than one million people hurt in slip and fall accidents in the food service industry.